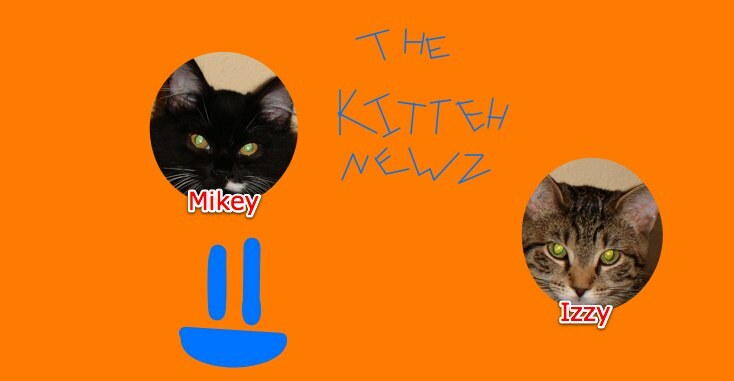 The Kitteh Newz: Thank You Google! I just wanted to thank all the great people behind Google. Google's blogging website, Blogger, is what powers The Kitteh Newz. I really enjoy their mail system, Gmail. Google Apps allowed me to get "@kittehnewz.com" at the end of my email address, and some other secret stuff that I'll announce later. Oh, and did I forget to mention that tomorrow is Catmas Eve? M&I's Grameow has showed me the Catmas Tree over Skype (I'm with their Grandpaw right now), and under it are lots of presents! I do love my Skype. Skype is epic. Epicly epic. Even though Epicly isn't a word. EPICLY EPIC JUST SOUNDS SO... EPICLY EPIC!